We have decided to take down some pine trees to the north of our house as they are not suited to the location and not pretty as they have already been “topped” giving them an odd shape. In their place will go some false acacia, also called black locust, which is a beautiful tree, a fast-growing, durable hardwood, great for things like fence posts, it provides food for bees (from which they make a light, clear honey) is nitrogen fixing (so improving the soil) and produces a pea, which, when they fall to the ground, will provide free food for the chickens, whose house is next to where they’ll be planted. So, I got out my chainsaw and, with safety always in mind, checked it over and then donned my protective trousers (they’re heavily padded and the fibres clog, and hence stop, the chain before it could cause injury), protective boots and gloves and helmet with visor. I’d taken two down trees already but was still safely systematic and methodical as I prepared to fell the third. I had cleared the ground around the base of the tree and had my escape path planned (45º either side, to the rear) and then cut a “felling notch”, an upward wedge in the face of the tree. I started the felling cut, which would leave a hinge which would control the direction in which the tree fell, breaking just as the tree hit the ground. Gently, the tree began to fall, leaving me ample time to withdraw the chainsaw and retire, taking up a position behind the adjacent tree. What happened next was bloody spectacular! There was a loud twanging, whooshing sound and a huge blue flash of light as the falling tree tore down the power line, cutting off the electric supply to the whole hamlet. Interestingly, from a linguistic point of view, when under such extremes, I instinctively resorted to English expletives! Once I realised what I’d done, I knew I had to call the electricity board and decided that I should ask some French neighbours, Michel and Celine, to make the call to ensure that it was explained properly. 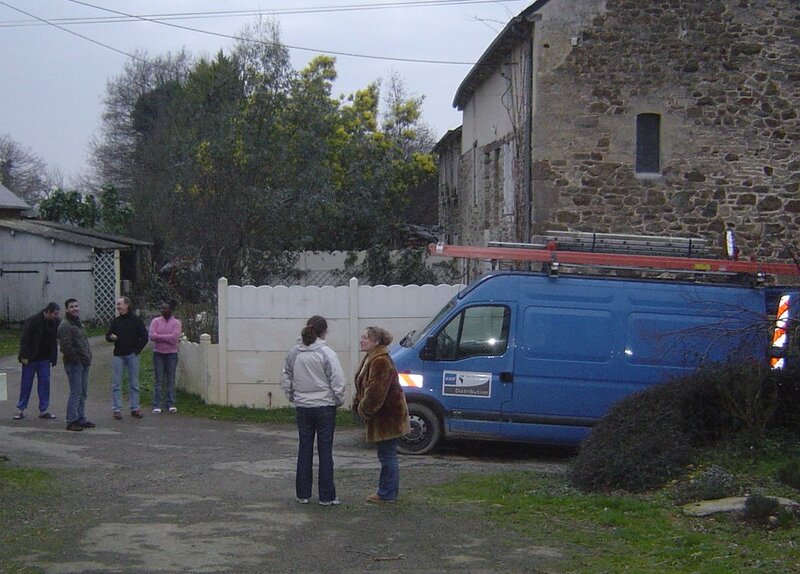 Just twenty minutes later, two electricians in two blue vans turned up and, about an hour and a half later, by which time they were working by torchlight, electricity had been restored to us and all our neighbours. I feared a large bill or a heavy fine but all they wanted was my house insurance details, which is great as it’s been a bad month for bills. The tree and its branches had been below the electricity line but as it fell in an arc, the branches on one side rose and hit the line. 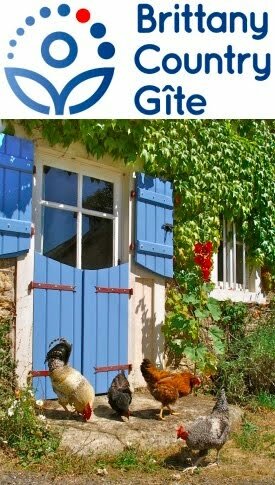 I’ll take even more care in the future and am currently celebrating (with a glass of red Bordeaux) the fact that I wasn’t electrocuted and neither were the chickens prematurely roasted as the line fell on their house! WOW! I bet it was pretty neat to see. That's the "stuff" of good stories for years to come! By the way--glad you and your chickens are o.k. Thanks for posting a comment Monica. The following day, I went up a ladder and cut off the branches on one side of the remaining three trees with a handsaw (I don't think chainsaws and ladders mix well) before I felled them safely. I wonder, when they heard my chainsaw start up again, whether the neighbours were concerned! The trees are all logged up now and the brash burnt, so it's all clear and ready to plant those false acacia.